It's getting closer to registration time and I'm getting excited! I hope you'll join us for the the Summer Session! To help get you excited about the Summer Session an Early Bird Discount is being offered to the first 50 members who join this weekend! 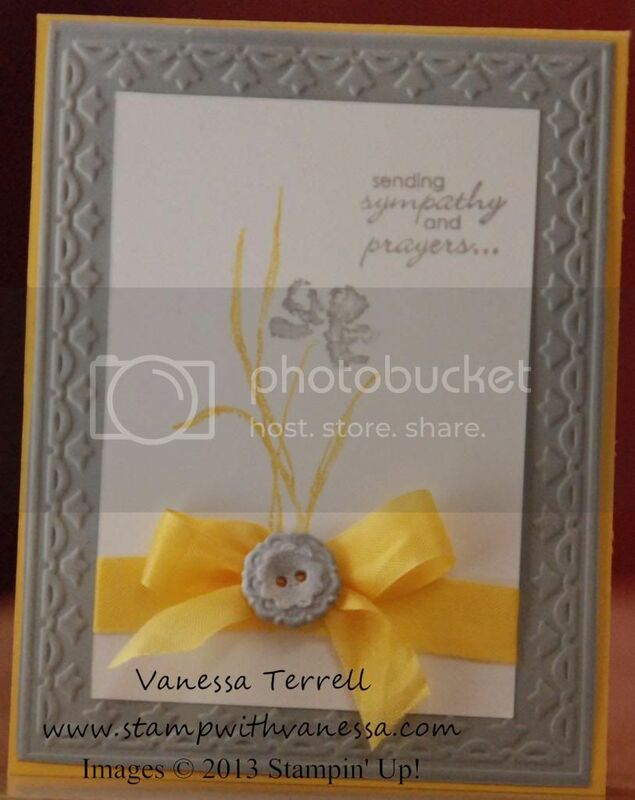 The discount is $19.95, remember to email me when you register (vanessa@stampwithvanessa.com). You can register here: http://jbsinkyfingers.com/inky-fingers-club-summer-2013-session/. The link will go live at 10am EST. Now I have a Sympathy card to share with you! I used the Love & Sympathy and Petite Pairs stamp sets and had some fun embossing the new Very Vintage Designer Buttons. I needed a button in Smoky Slate and these buttons are Vanilla...so I embossed my button to match my card.